PinnacleHealth Sports Medicine welcomes Michael Cordas, DO, primary care sports medicine physician, to its team. The PinnacleHealth Sports Medicine Center provides comprehensive treatment for patients with injuries or other medical conditions that affect their ability to exercise, participate in sports or maintain an active lifestyle. 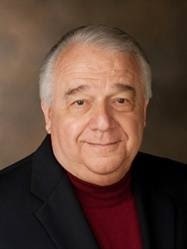 Dr. Cordas is board certified in Family Practice and Sports Medicine and is the chairman of the Medical Advisory Committee of the Pennsylvania Interscholastic Athletic Association, a member of the Pennsylvania Athletic Commission and an advisory member of the National Athletic Trainers Association. Along with this background, he is medical director of the Primary Care Sports Medicine Fellowship program at PinnacleHealth and is a Fellow of the American Academy of Family Physicians and of the American Osteopathic Academy of Sports Medicine. Dr. Cordas was also the team physician for Penn State’s football and wrestling teams. Dr. Cordas adds extensive Sports Medicine experience to the PinnacleHealth orthopedic team that has been treating athletes from the weekend warrior to the professional level for many years. PinnacleHealth surgeons perform more joint replacements than any other hospital in our expanded region and are in the top 1% of volumes for the state. PinnacleHealth Sports Medicine office will be open 8;00 a.m.-4:30 p.m.. We will be seeing patients Monday through Thursday, 12:30-4:00 p.m.; Friday, 8 a.m.-12 noon at the Community Campus, Bloom Outpatient Center 4310 Londonderry Road, Suite 1B, in Harrisburg. Please call (717) 791-2620 to schedule. For more information about the PinnacleHealth Sports Medicine Center, visit pinnaclehealth.org/sportsmed. Pinnacle health sports medicine complex is working for the patients and you give the complete schedule about the opening and closing timing of this complex but best dissertation service will make your task excellent. This organization is working for the people and doing their job so best. I appreciate the management of this company. I recommend you to check this out if you want to get high quality dissertation. As you know, education means a lot these days. Micheal Cordas was the best physician as I know. His team was revolutionary. Join us for the best digital marketing institute in nirman vihar. Get the best facilities such as skilled & experienced trainers, excellent environment & 100% job placement. You learn to plan & build modern websites from scratch. You can start earning by doing SEO jobs. Get full hands-on experience. Our main goal to change the attitudes and learning of advanced experts on a worldwide scale. We give teachers proficient confirmations that can sustain who and what is to come. This is the digital marketing course in CP. If you are looking for a good institute for learning Digital Marketing Course then you should visit AIDM (Asian Institute of Digital marketing)is one of the pioneer in digital marketing course in laxmi nagar which is located near Nirman Vihar metro station Laxmi nagar Delhi(110092).For further information please dial+919205903598 then our executive will take care of your queries. Our course module is design in the surveillance of experts that’s why we assured you 100% job assistant.